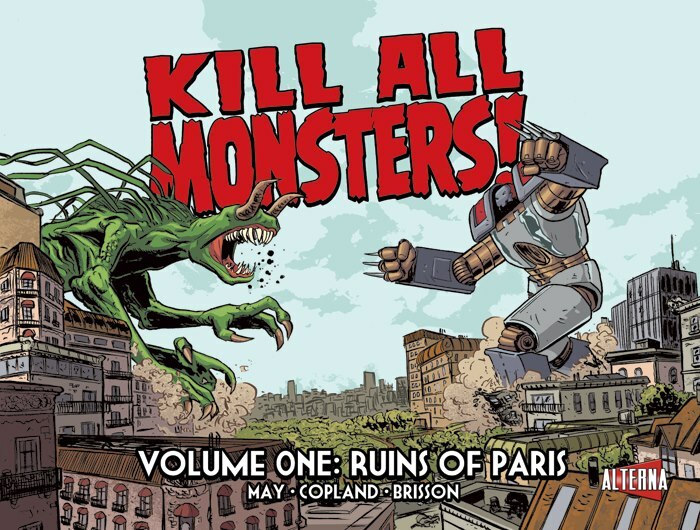 Kill All Monsters in comic shops tomorrow! | Kill All Monsters! Kill All Monsters in comic shops tomorrow! 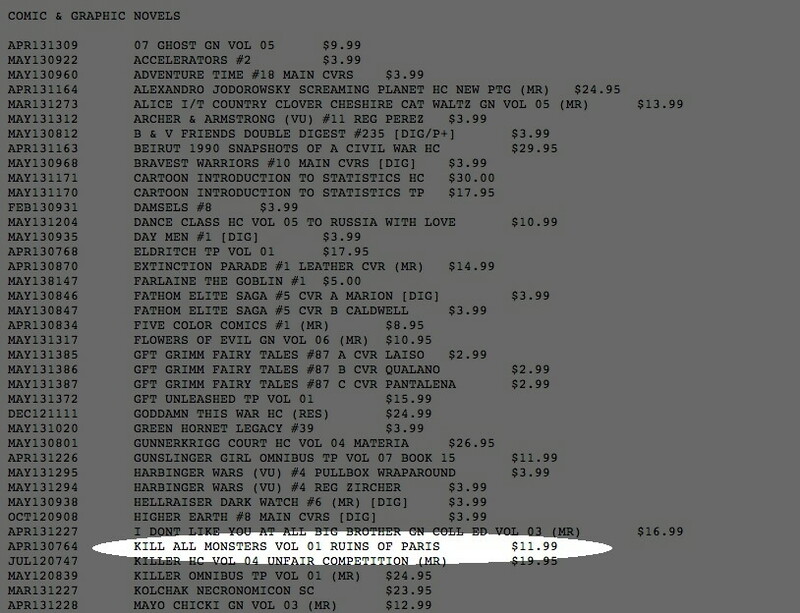 According to Diamond, Kill All Monsters, Volume 1 should be in comic book shops tomorrow (July 17)! If you’re a Kickstarter backer, keep watching your mailbox; I’m getting them shipped as quickly as I can sign and sketch in them. That’s right, each Kickstarter copy comes with a sketch by me. You’ll immediately understand why I turned my creative focus to writing, but hopefully it’ll be a fun, rare thing to have in your Kill All Monsters. Regardless of how you get your copy, it would be completely awesome if you could go to Amazon and leave a review. We’ve got one already (5 stars! ), but the more the merrier. I’d love to hear what you think and it also helps people find the book when there are lots of reviews. Finally in this roundup of KAM news, Otis Frampton finished his Kill All Monsters piece and it’s so fantastic. Thanks again, Otis! This has to go in Volume 2! This entry was posted in KAM! News and tagged fan art, Kickstarter, Otis Frampton on July 16, 2013 by Michael May.